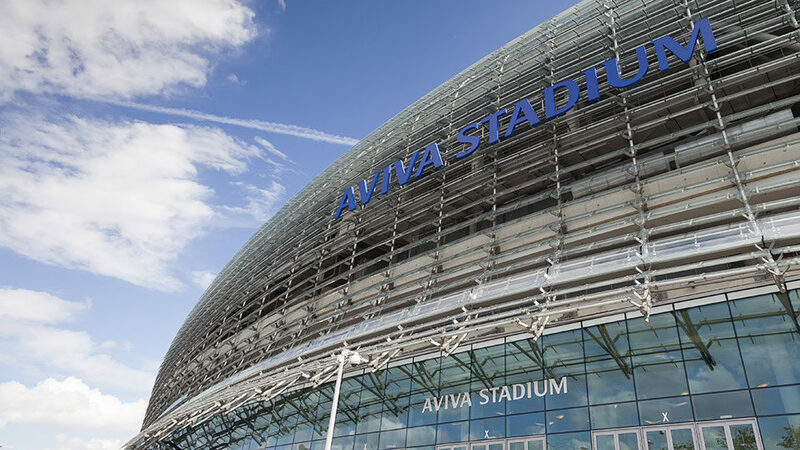 ALSD International – Europe’s leading conference and exhibition for the Premium Seat sector – is coming to Croke Park, the largest sporting arena on the island of Ireland and Europe’s third largest stadium, in the beautiful city of Dublin, this October 28th and 29th. With sports projects aplenty and a variety of world-class sports venues, Ireland offers the perfect platform. The high-level, two-day ALSD International event will examine premium seating and how to increase revenue with new builds, renovations and service expansions, as well as new F&B offerings. All aspects of this dynamic niche, from architecture and design, through to VIP access, premium sales, client retention, sponsorship, innovative technology, products, solutions and fit-outs, will be discussed and dissected by a wide variety of high calibre experts at the second edition of this industry-leading event. For 2019, attendees will benefit from a comprehensive conference program, during which they will hear insights from a range of industry leaders, while benefitting from unrivalled networking opportunities, in addition to behind-the-scenes tours of Aviva Stadium, the 50,000-seat home of the Football Association of Ireland (FAI) and Irish Rugby Football Union (IRFU), Croke Park, the 82,300-seat home of the Gaelic Athletic Association (GAA), and the 9,000-seat 3Arena, one of the Top 10 busiest live entertainment venues in the world. Phase 2 of the Sport Ireland National Indoor Arena project, which is due to complete later this year, providing elite indoor training facilities on the Sports Ireland National Sports Campus. The new Curragh racecourse project, which will see the creation of world-class facilities on a par with the best anywhere in the world. The centrepiece of the redevelopment will see the creation of a major new grandstand, which will incorporate five star corporate facilities, restaurants, bars and superb viewing facilities. Connacht Rugby’s redevelopment plans, which include a new 12,000-capacity stadium – this total will be made up of a mixture of seating and terracing in new covered stands primarily on the sides of the pitch (supporters will also enjoy a significantly improved hospitality experience); a new Playing Surface – full replacement of the current playing surface with an all-weather surface, ensuring the facility will be available for increased club fixtures for teams throughout the Province; and a High Performance Training Centre that will include indoor rugby training facilities along with strength and conditioning, medical, nutrition and administrative. 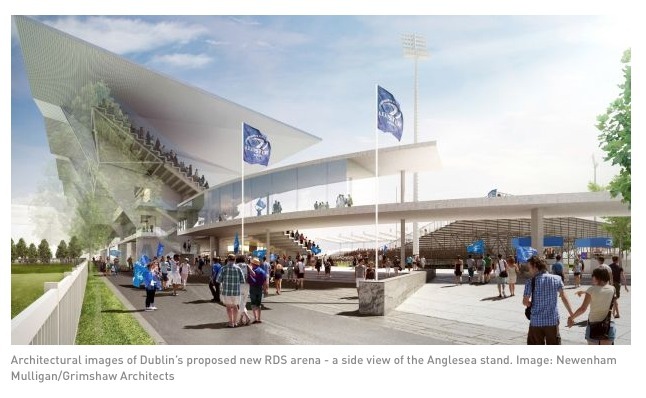 The RDS Arena redevelopment, which will provide excellent facilities for visitors to the Anglesea Stand, while also increasing the standard capacity for Leinster Rugby from 18,500 to 21,000. The Royal Dublin Society (RDS) has been granted permission by Dublin City Council for a €26m redevelopment. St. Patrick’s Athletic FC’s new stadium plans. The type of facilities to be provided will be agreed with the City Council but could include a library, indoor sports hall and a civic theatre. The innovative feature of the development is the inclusion of a UEFA Category 3 stadium, with 12,000 covered seats and all modern facilities, at first floor level. 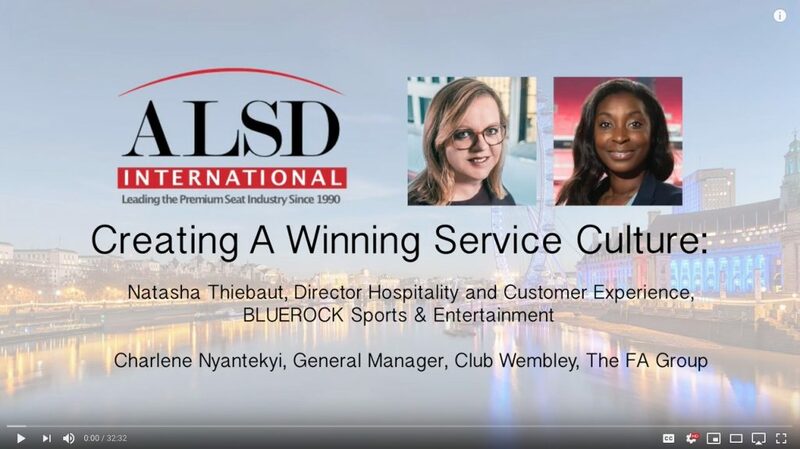 The inaugural ALSD International event was held in London last October, where it attracted 251 registered attendees, 30+ industry-leading exhibitors and sponsors, and a comprehensive conference program, all expertly delivered by the organisers, the Association of Luxury Suite Directors (ALSD), in cooperation with the European Arenas Association (EAA) and Sports Venue Business (SVB). Some 120 attendees took part in behind-the-scenes tours of Wembley Stadium’s Club Wembley, The SSE Arena Wembley and Fulham FC’s Craven Cottage. The high-level delegates in attendance represented entities such as AS Roma, AC Milan, Arena Riga, Chelsea FC, Saku Arena, D.LIVE, Tottenham Hotspur, Van Wagner Sports & Entertainment, Red Bull Racing, Jacksonville Jaguars, Manchester City, Manchester United, Real Madrid, TAURON Arena, The O2 Prague, Stockholm Live, Barclaycard Arena Hamburg, Scottish Event Campus, AFL Architects, The Sports Consultancy, Connacht Rugby, Sportsdigita, Madison Square Garden and Valhalla Tickets. The conference program featured a stellar speaker lineup of 60+ top industry executives from across Europe and the United States, including The FA Group, Canadian Football League, The Aspire Group, Real Betis Balompie, Ahoy Rotterdam, Johan Cruijff ArenA, Edgbaston/Warwickshire CCC, Croke Park/The GAA, STAPLES Center, AEG, IMG, Maple Leaf Sports & Entertainment Partnership, The O2 London, SCAU, HOK, KSS, Ashton Gate Stadium/Bristol Sport, Elevate Sports Ventures, San Francisco 49ers, BLUEROCK Sports & Entertainment and Rugby League World Cup 2021. Founding Partners for the 2018 event included AVIXA, Elevate Sports Ventures, Levy Restaurants and The Parker Company, with sponsors 1HUDDLE, 3D Digital Venue, Delaware North, Fund Raisers Sports, HOK, IHS Global Alliance, iSix, Metropolitan Strategies, Livestyled, Soccerex, Spring and Wavework. The 2019 event is once again being delivered by the Association of Luxury Suite Directors (ALSD) – organisers of the annual ALSD Conference & Tradeshow in the United States – in cooperation with Sports Venue Business (SVB). 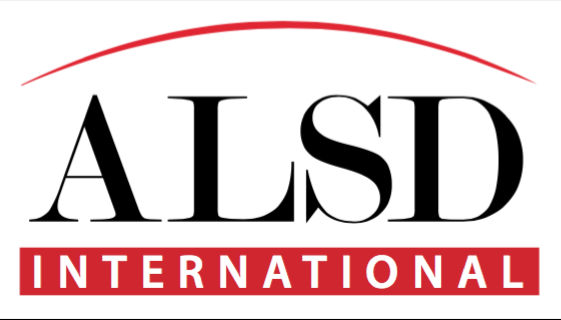 Those already confirmed to exhibit &/or sponsor ALSD International 2019 include 3D Digital Venue, Fund Raisers Sports, KSS and Wavework, with Michele Kajiwara, Senior Vice President of Premium Sales & Service at STAPLES Center for AEG the first of many leading industry experts to confirm as a speaker. At ALSD International, there was a particularly good mix of US, UK and European input, with great content and case studies, without a sense of ‘The US does it best’. It was really well positioned and I’m looking forward to the next edition in Dublin this October. We found the ALSD International conference to be incredibly informative and relevant for Connacht Rugby. Listening to some of the global leaders in premium seating sales present their experiences, networking with all the international attendees and the behind-the-scenes tours of Wembley Stadium, The SSE Arena Wembley and Craven Cottage, all contributed to a very positive experience. The conference was extremely informative as we look to identify and plan to approach the European market. I wanted to personally say a huge thank you. The ALSD conference was fantastic and you certainly created something very special for the inaugural UK conference. I hope it becomes an annual event now! It’s hard to believe it was the first ALSD event of its kind in London, it felt like an established must-attend event. In my view, delegates included some of the best minds in the sports and entertainment industries and I enjoyed the opportunity to meet in the variety of formal and informal settings. It was a pleasure to be a part of the event, I hope the audience at my panel on venue technology found the discussions insightful. All that’s left to say is a big thank you to the team at ALSD International for putting on such a professional and fun event. I look forward to seeing everyone back next year. Great to see old and new faces at ALSD International. Very interesting speakers and discussions taking place around the changing landscape of venues. Also, exciting times for Verteda working with these venues.